Do-it-yourself projects may work for crafts and home improvement, but we wouldn't recommend DIY inbound marketing. Besides, remember that new sink you planned on installing in an hour that took all day to put in? Even if you have an internal team in place, outsourcing your inbound marketing to a reputable agency makes intelligent business sense and can free up valuable internal resources. You won’t have to invest in team training. Inbound marketing comes with many nuances and strategies that your own team would need to fully understand before they could begin to devise an effective plan. Just think of the power and complexity of HubSpot. Agencies are already well-versed on what works and what doesn’t, along with techniques to use with various types of businesses. Better yet, while the agency works hard at designing and implementing your outstanding plan, your team members automatically gain insight by collaborating and seeing the plan in action. At LyntonWeb, we offer inbound marketing training alongside our implementations so our clients can build their expertise while working with us. You get a ready-made toolbox. Measuring and analyzing data is part of the inbound marketing territory, but unless you know what to measure and analyze and have the proper tools to help you do it, you’ll again be at a loss. Whether it's Google Analytics, Optimizely or Hotjar, agencies generally hit the scene with a host of effective tools, along with the knowledge of what measurements and analytics matter for your bottom line. You’ll have a one-stop shop of experts. Agencies are stocked with team members who specialize in specific areas like development, marketing and creative. Those three facets alone would translate to three additional hires for your company. Dive deeper into each expertise and you’d find you need content writers and graphic designers on your creative team, marketing analysts and paid search specialists on your marketing team, and an array of others filling in the niches. You'll also find industry expertise. 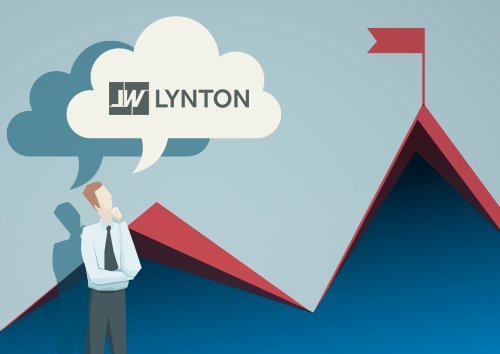 At LyntonWeb, for example, we have domain knowledge in the health care, oil and gas, and real estate verticals. Recruiting and hiring the same level of expertise inside your organization would take time and budget you may not have. While too many cooks can spoil the soup in some situations, one of those situations is not brainstorming. Group meetings that include yourself, your internal team and your agency can result in an amazing array of ideas that could never stem from one single brain alone. You’ll have a buddy for life – or at least a partner for the long term. Inbound marketing agencies have to really get to know a company in order to develop and implement a plan that soars. And if a team is putting that much time, effort and money into researching every nook and cranny of your company, you’re both going to want them to stick around. Companies and agencies tend to build very strong relationships that can last for the long haul. The mutually beneficial connection between you and your agency only continues to get stronger and more meaningful as you both work toward mutual success.